The recent extended stay of Fortnite, in my house, has me questioning video game violence once more. Specifically the language we use when playing violent games. The so-called Power Rangers Effect where kids start to do ninja moves after watching the show. But instead of ninja moves, using game specific weapons when talking/playing: “I’m going to kill you with my SMG.” Dr. Schut does a great job diving into the topic of video game violence. I wish I could give you a simple formula: do this and don’t do that. But life doesn’t usually work out so neatly. I think the lines vary from person to person, from situation to situation, from mood to mood. You can read more of Dr. Schut’s article titled “Should You Play Violent Video Games?” over at Love Thy Nerd. Wyatt and I were in Gamestop recently to trade-in some games. As we waited in line, TV’s blaring about some upcoming entertainment, I noticed the father and son being helped ahead of us. Looking on the counter, I saw that they were picking up two games, both rated M for mature. The kid didn’t look like he was much older than 10 or 11 years old. We had a little boy move into our neighborhood a few months back. He lives with his dad (parents are divorced). The kid seems to have free reign over the media he consumes. He is 8. Often at night, as I am driving down the street to our house, I’ll catch a glimpse of what is playing on their TV. Grand Theft Auto, Call of Duty, etc. are all normal sights. Maybe the kid gets to play these games with his dad? Maybe video games are the only thing they bond over? I’m not trying to judge my neighbors parenting skills nor the choices he makes for his son. One day, shortly after they had moved in, my son and the neighbor boy got into an argument. Wyatt came in crying. The neighbor boy had threatened to come into our house, at night, and kill all of us. On top of that, he was also going to destroy all of Wyatt’s toys. At what point does the media we consume start to affect us on some level? I’m not saying that violent video games cause violence. But what I am saying is that the things we choose to consume affect us deep down. Doing something as slight as causing us to use words such as “death” or “kill” more frequently. Or even normalizing the use of weapons and violence as a way to solve all problems. In the wake of recent school shootings, President Trump has decided to sit down with members of the video game industry. A Presidential effort to hash out the topic of violence in video games. What I’m hoping, is that President Trump is educated on the rating systems already in place. I’m hoping that he realizes that the problem starts in the home; the solution starts with parents engaging their children. 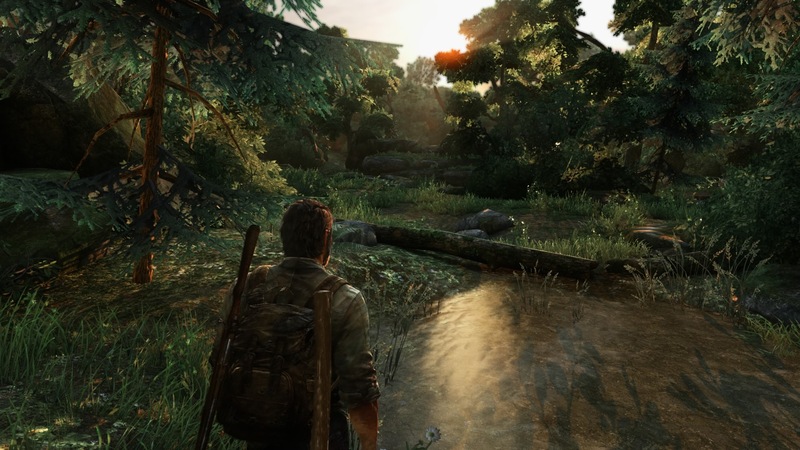 Naughty Dog’s The Last of Us is the antithesis of the Uncharted series. One game is built on stealth, scavenging, and nonviolent solutions; the other game on blood, ammo drops, and guns, lots of guns. I happened to take a sick day this week. To relax, I fired up The Last of Us. Now I should note that this is a game I have tried quite a few times to get into. Somehow, someway, The Last of Us has failed to capture me, until now. The fact that it was daylight outside could have helped my bravery. Scary games and I do not get along. 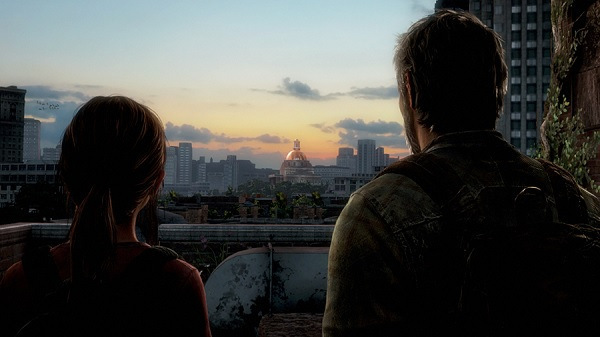 The last time I played The Last of Us, I had left Joel, Tessa, and Ellie out in the rain. They were trying to make their way down a slick street, avoiding the military along the way. Years of Uncharted training told me to unload my gun on these goons, up the body count, and get along. Yet, The Last of Us teaches one that guns are bad. If you are going to shoot a gun in this game, you better prepare to deal with the consequences. You see, guns are loud. In a game all about stealth, enemies swarm towards gunfire like flies to fresh poo. We soon came across two new enemy types: 1) Clickers: Infected that are blind yet have amazing hearing; 2) Runners: Infected that can see and rush one at will. I realized that each enemy encounter is like a puzzle. If you can distract an enemy with a glass bottle thrown into another room, you are golden. 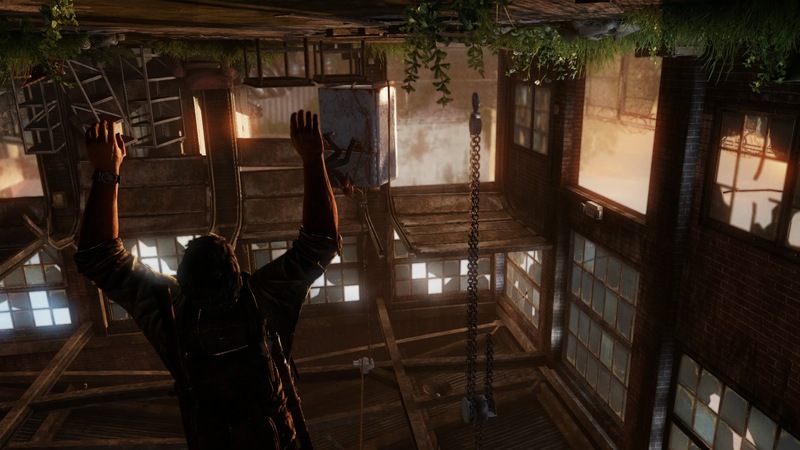 The Last of Us is all about misdirection. And bricks. Bricks are fantastic melee weapons. They also provide something to throw to stun or create a diversion. I cannot stress enough that the moment your gun clears its holster, you will be stringy flesh on toast. Expect to die many times. Each encounter is different. Sometimes it is best to observe first, die, and then try a solution. Death isn’t the end, death is your friend. Further along in the game, we made it to the state capital building. The military arrived and surrounded the building. I tried at least 5-7 times to sneak around and out of the building. No good. So I then decided to move as fast as I could from one barrier to the next. Avoiding military patrols like the stealth professional I am not, I walked out of the building without a single shot fired. This game is good. The Last of Us pushes for non-violence and yet is the most violent game I’ve played in a long time. I like how the non-infected humans are scarier than the infected. I love how the game is kicking me out of my comfort zone of running and gunning. I ended my sick day entering the darkened corridors of a high school. My wife and son where out shopping for the evening. I was home, alone. Coming across a group of Clickers, I decided that enough was enough for the day. Could have been that my bravery left me when the sun went down or that I was just tired. But I’ll be back, brick in hand, to continue the journey. Not forgetting the quiet moments in the game, moments of utter wonder. Beauty. Light. Darkness. Oh the world we live in, reflected in a video game. I was recently given a review code for Armello, a digital role-playing strategy board game. Imagine Hearthstone, Risk, and the Redwall book series put into a blender. The end result is a fantasy setting filled with animals, intrigue, and violence. Right away you’ll notice that Armello suffers from text sizing issues on the PS4. The developer, League of Geeks, is aware of the matter and has stated that they are working on a solution. In the meantime, I get to sit up closer to my television. Not sure how I feel about that. The whole purpose of playing a game on a console is to relax. There is nothing relaxing about sitting right up next to the TV. I can hear my late Great Grandma Nelson telling me to back away, one does not want to become blind. May the patch come soon. Last night my wife left me. Well she left me to go to a bachelorette party, I should say. Soon after my son went to bed, I loaded up Telltale Games The Walking Dead: Episode 1 on the PS3. Thinking my wife would be gone for a few hours, I thought that I could at least finish up Episode One – A New Day (I had played for at least an hour a week ago). Little did I know that I would spend the next three hours deeply engrossed in a zombie-filled horror. I want to say something upfront about this series. 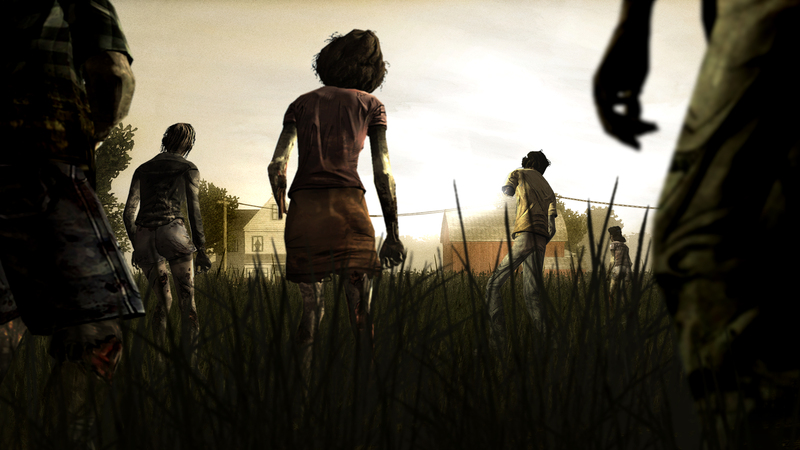 Unlike most M-rated games, The Walking Dead earns its rating almost immediately. Beyond the bloody and sometimes lingering gore-filled camera shots, the explicit language used in the game is intense. I don’t think I’ve ever played a video game that uses the f-word with such frequency as The Walking Dead does. This is about as far from the Mario universe as you can possibly get. Just a word of warning. Living in the chaos of a decimating virus outbreak is not dream of mine. Personal survival quickly becomes the rule of the day; personal survival at the cost of others lives. The Walking Dead: Episode 1 opens with a man named Lee being transported in the back of a police cruiser. Whether he is guilty of whatever it is he has done, the game leaves that up to your imagination. All you know is that something is going horribly wrong in the City of Atlanta. A zombie, standing in the middle of the highway, leads to the police cruiser crashing. The story of Lee’s survival has just begun. What makes The Walking Dead so compelling is its storyline. The game makes you actually care about different characters. Soon after the car accident, Lee meets up with a little girl named Clementine. This is where the game sucked me in. Lee suddenly has someone that is watching his every move, an innocent. 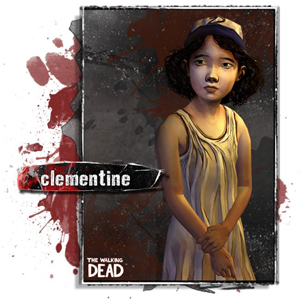 Knowing Clementine is watching me, Lee, makes me make decisions differently. I want to shield her from the carnage. After playing Episode 2 – Starved For Help, I’ve learned that shielding her is often impossible. There is evil in this world, evil that knows no bounds. I haven’t been this captivated by a game in a long time. The characters, voice acting, and storyline all come together to create a group of people I care about. Deaths come about as shocking. Choices I’ve made I’ve later regretted and have reaped the consequences of. The Walking Dead represents interactive drama at its best. I just wish they’d tone down the language.